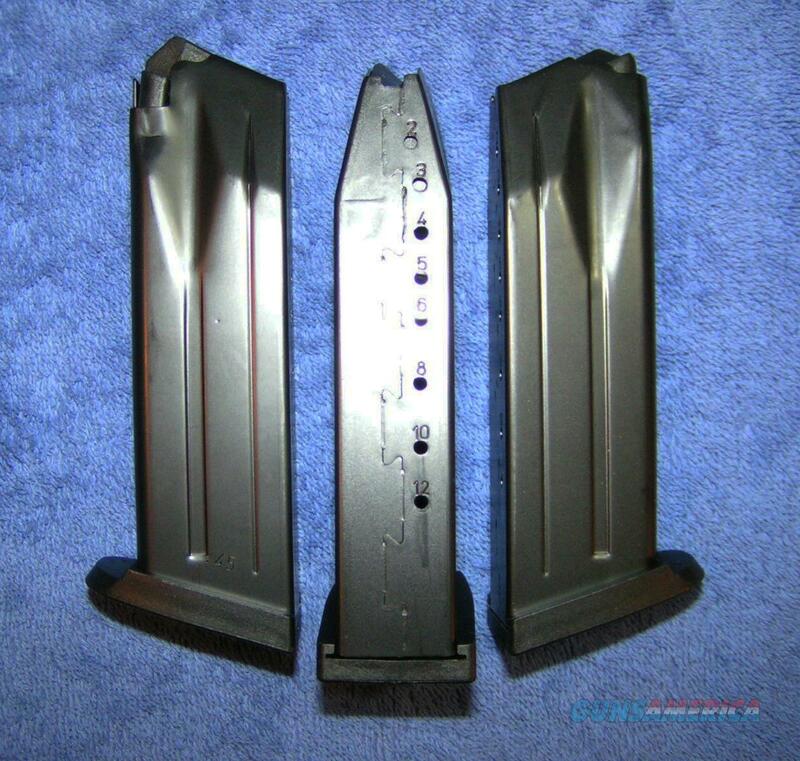 Description: Three new mags made by H&K. Holds 12 rounds of 45ACP. Marked "HK .45" on the bottom. , 45 on the left side, and "Made in Germany" on the leading edge. New mag, never inserted into a gun or loaded. Free shipping. Price is for 3 mags. I accept cash, personal checks, company checks, money orders, and cashier's checks and bank checks. No fees on credit card payments. Florida residents add 7% of product price. Free shipping. I combine shipping. UPC: 642230244030. Rich.